It was my nephew's 1st birthday on the 4th! I can't believe little Max is 1 already! 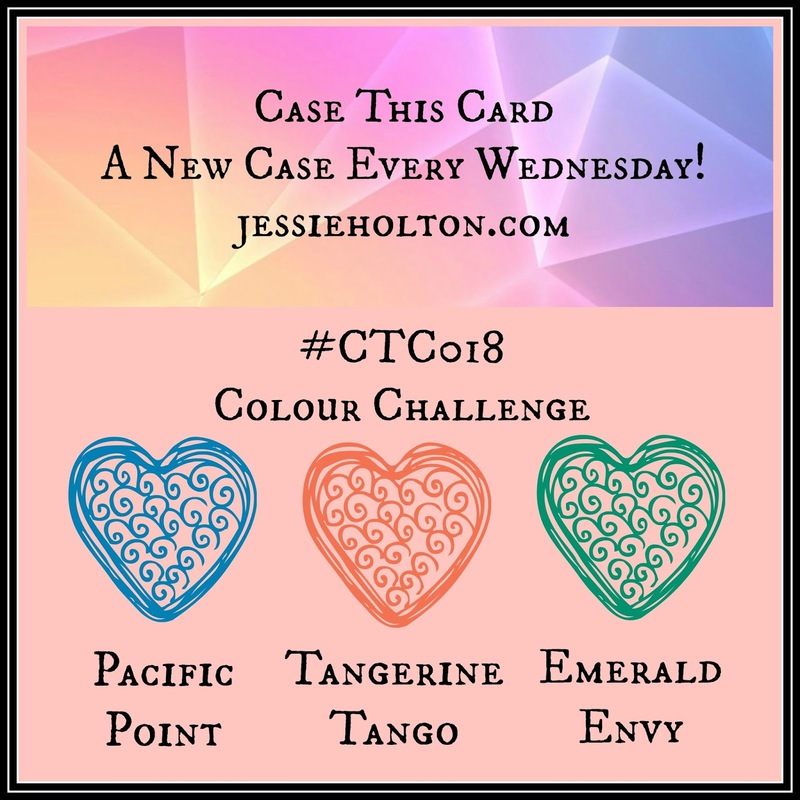 I made these two cards (one from us & one from the in-laws) for Max using the Case This Card #CTC018 colour combo challenge & the new Party Animals Designer Series Paper (DSP) with the Balloon Adventures Bundle! 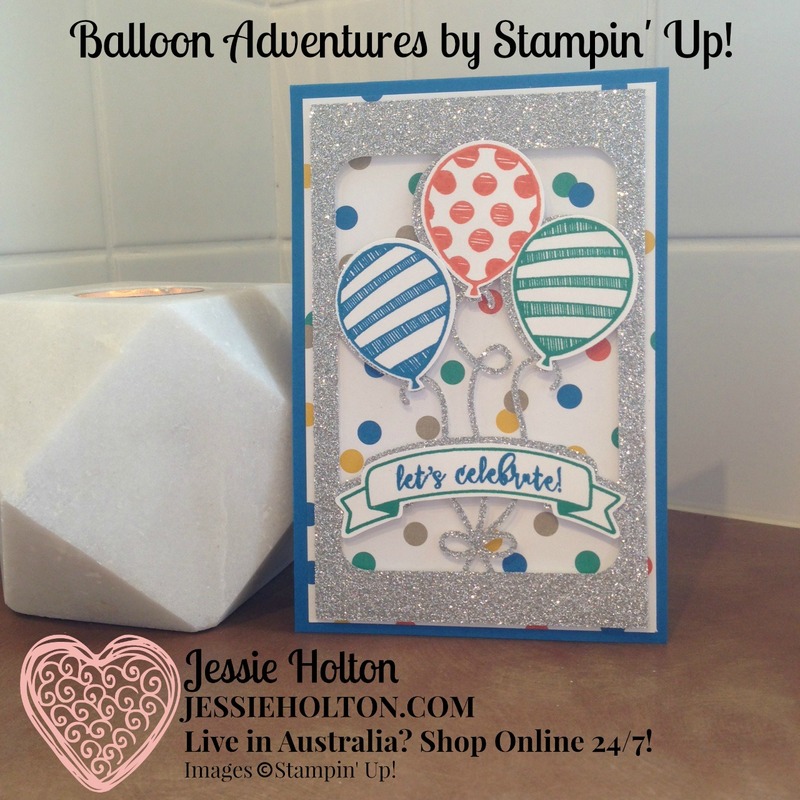 I also had a friend Maddie recently give birth to a little boy, so I made a card for her too, in the same fashion. The Party Animals DSP is great for boy colours & birthday themes! I've started with a 12" Pacific Point cardstock sheet & cut it into three 4" wide pieces & then scored at 6" to make three A frame cards. 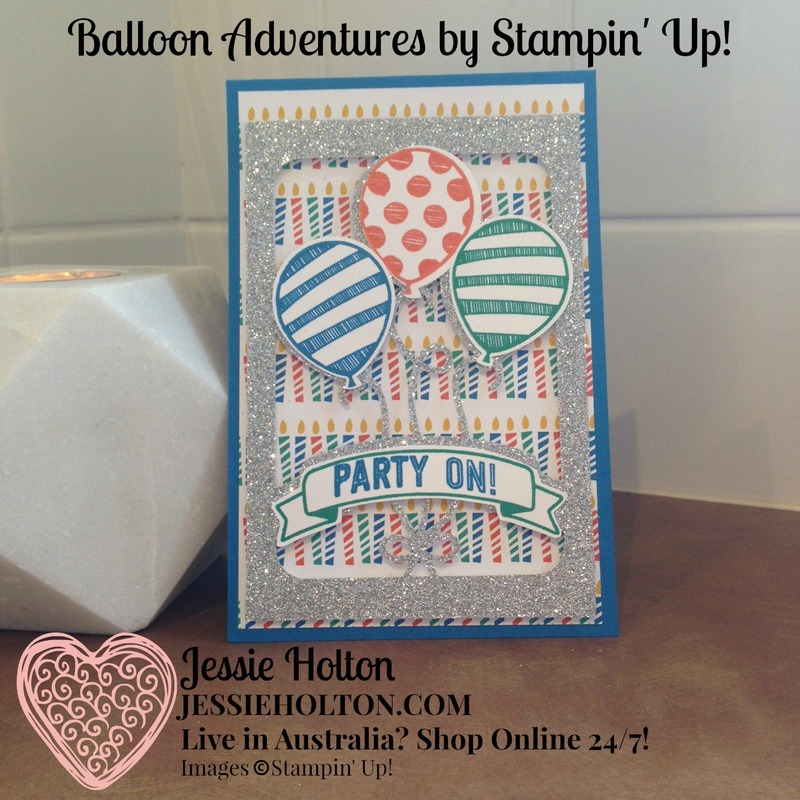 I've used the Silver Glimmer Paper & the matching Balloon Pop-Up Thinlits to create the front layer, which I've propped up on Dimensionals. TIP: For a clean cut when using the Glimmer Paper in your Big Shot, turn it upside down so you're placing the thinlits onto the white/back side of your Glimmer Paper. 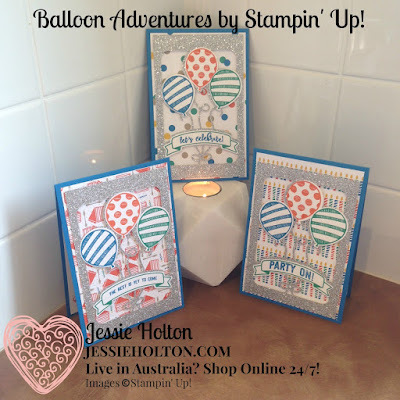 I've used the balloon images from the Balloon Adventures stamp set in Pacific Point, Tangerine Tango & Emerald Envy & punched them out with the Balloon Bouquet Punch - I love how Stampin' Up! coordinate all their products!! I have fussy cut the banner. 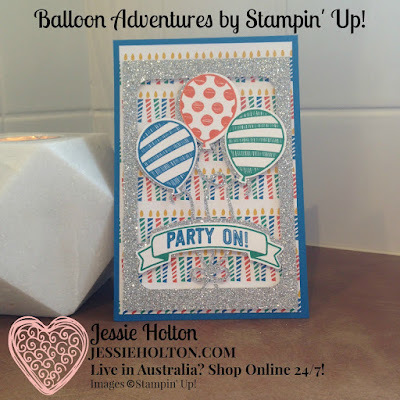 I have used Tear & Tape to stick the balloons & banner to the Silver Glimmer Paper as I find sticks better than using my normal go to glue - the Tombow Multipurpose Liquid Glue. I've alternated the sentiment in the banner & the background print. 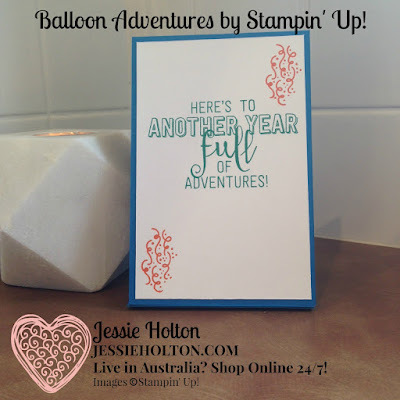 I have made the inside for both of the cards the same, using the sentiments & images from the Balloon Adventures stamp set in Emerald Envy & Tangerine Tango, on Whisper White cardstock. I've followed suit with the front of the baby card I made for Maddie, using the spot design from the Party Animals DSP as she has silver spots all over the wall in her nursery. 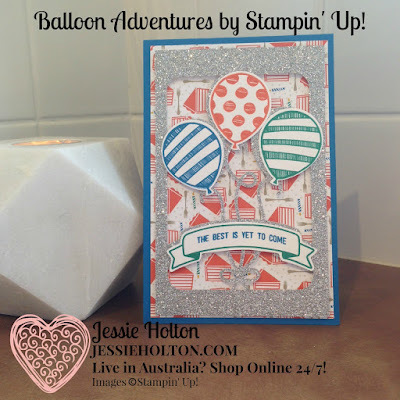 I have used the new Iconic Occasions hostess stamp set to stamp the inside of the card in Pacific Point & Emerald Envy. You can see my product list & how you can earn free product below! 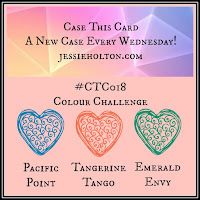 I have entered this set of cards into the Case This Card #CTC018 Colour Challenge. 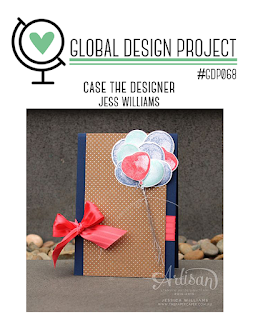 I have entered this set of cards into the Global Design Project #GDP068 Case the Designer Challenge. I have also entered this set of cards into the Crazy Crafters Project Highlights for this week. You can see all the entries & vote for your favourites from 7pm tonight. 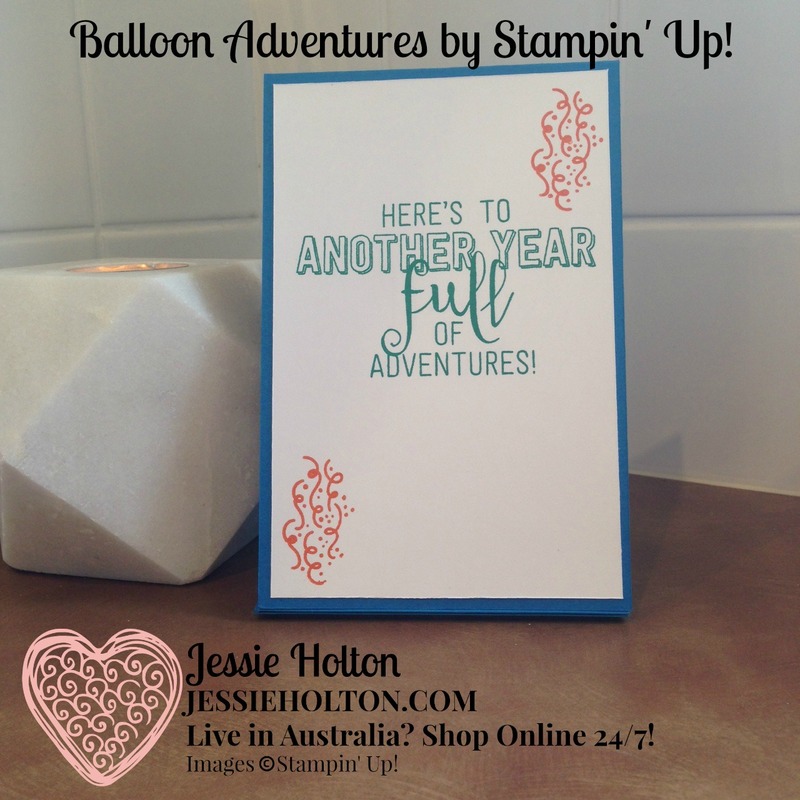 Just by purchasing the Balloon Adventures Bundle, you could earn yourself a FREE Sale-A-Bration product! For every $90AUD of current product you purchase, earns you a Sale-A-Bration item ($90 = 1, $180 = 2 etc). 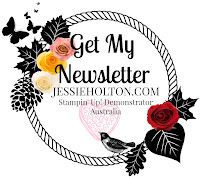 If you don't already have a demonstrator you order through & you live in Australia, you can sign up for your Free Copy of the New Occasions Catalog here!